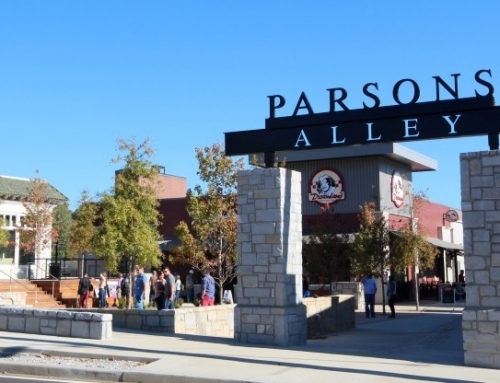 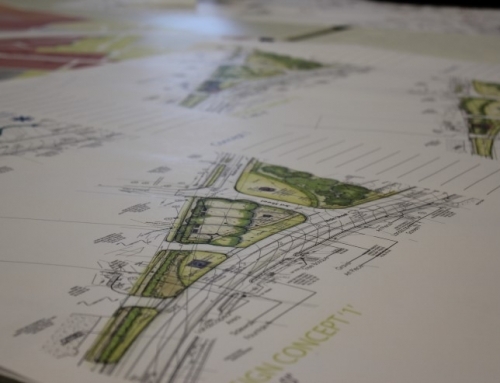 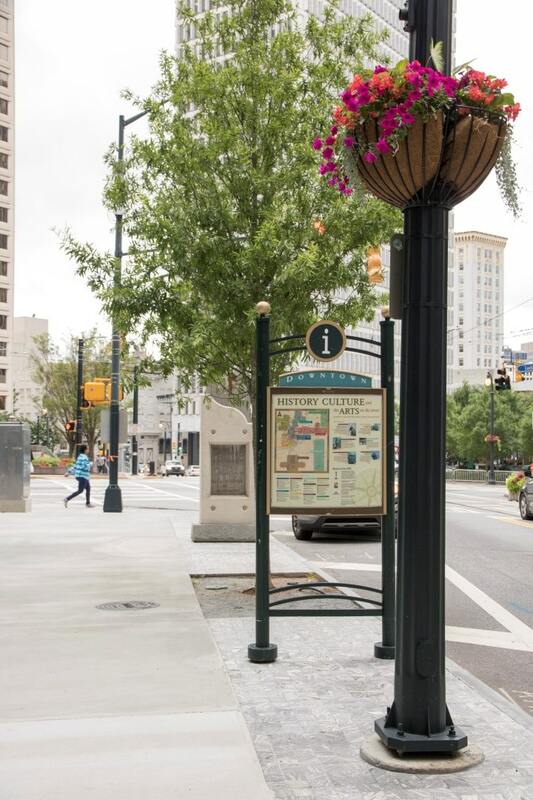 TSW was retained by American Capital Partners to provide planning and design for a signature urban plaza space and streetscape project in downtown Atlanta. 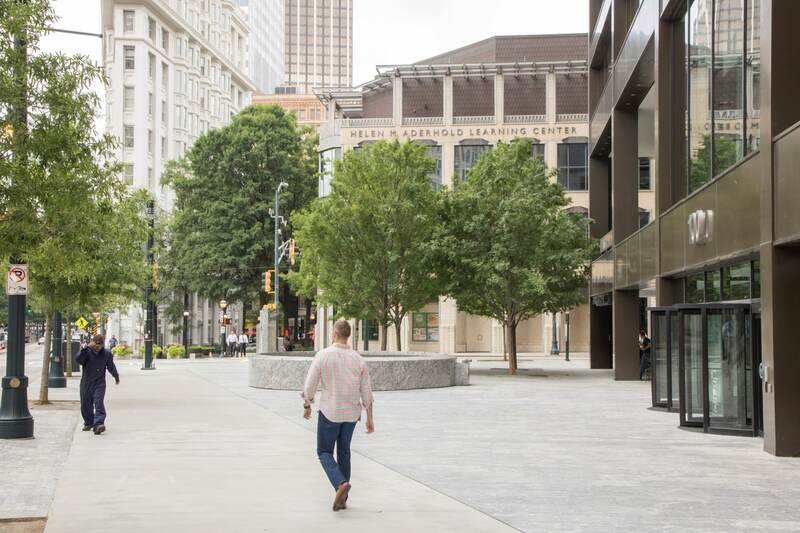 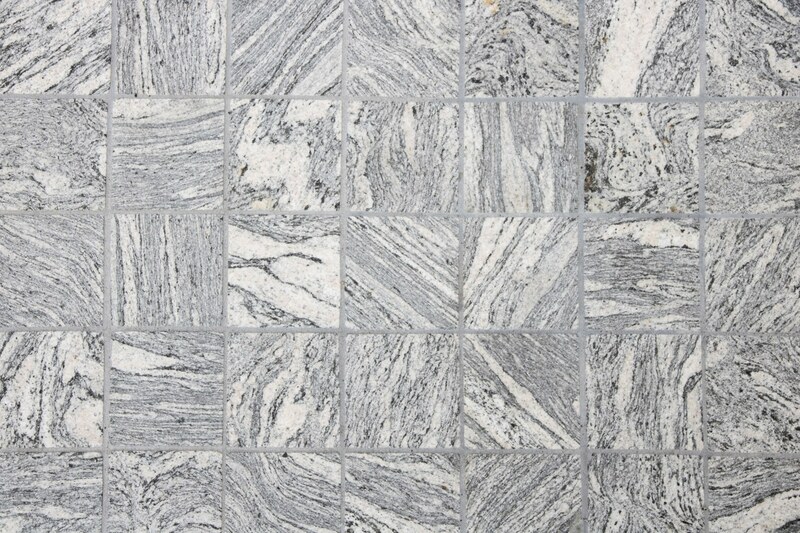 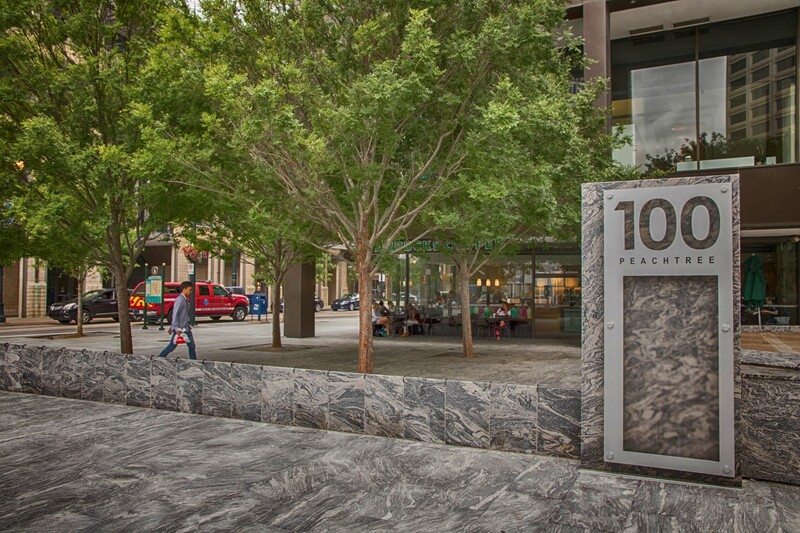 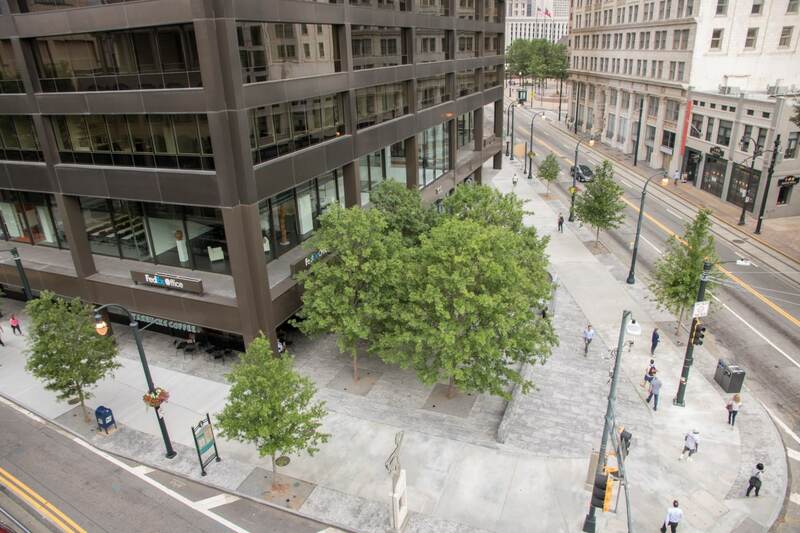 The plaza is the key entrance element and outdoor gathering space for 100 Peachtree (Equitable Building), including outdoor seating cafe space, granite paving, and signage. 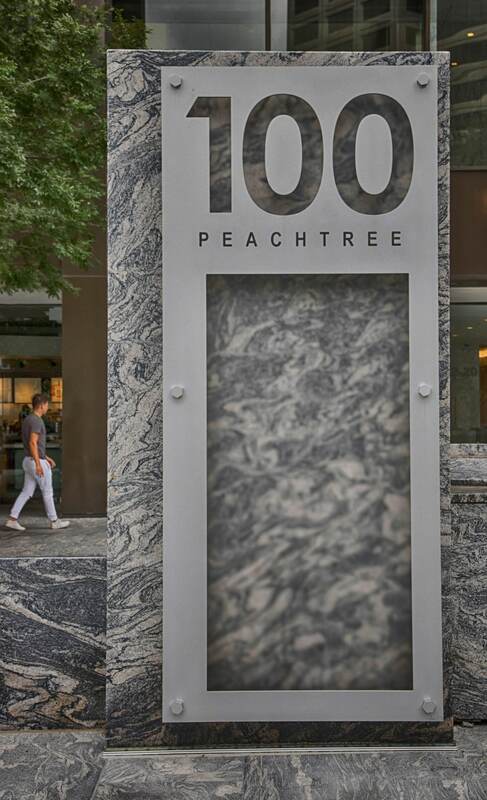 100 Peachtree Plaza’s sign denotes the building’s main entrance. 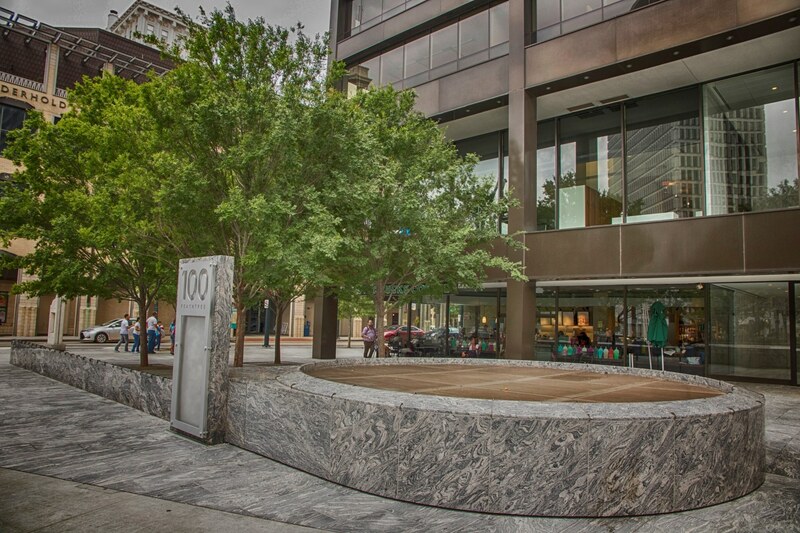 The sign is integrated into a seat wall adjacent to cafe space. 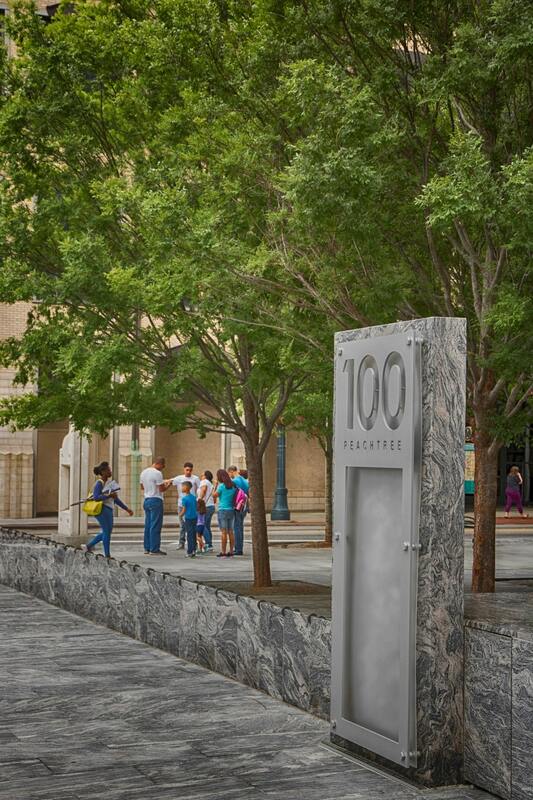 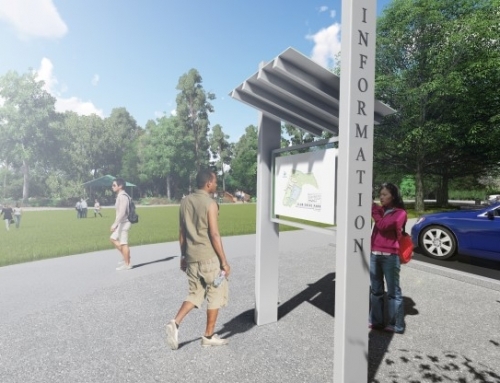 The sign is composed of a monolithic piece of granite with raised laser cut steel and frosted glass. 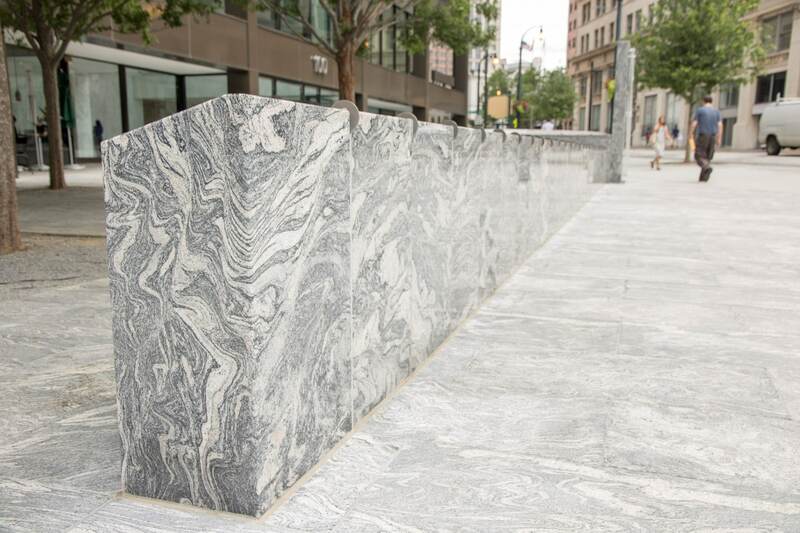 The steel is aluminum and its forms reflect the geometry of the modernist building. 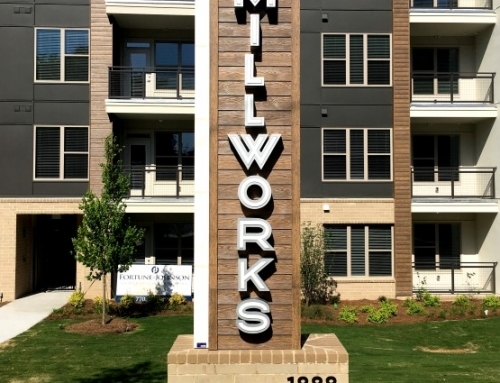 At night the frosted glass is backlit with an LED strip and ultimately gives the signage a subtle glow. 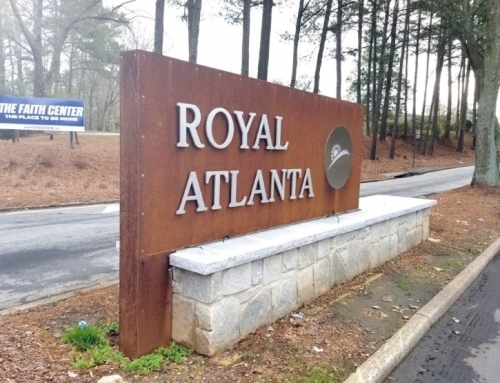 The frosted glass is also an area for the building’s tenant to display decal stickers of their company.